This purpose built facility is installed with Rubberfuse Light Grey FB Membrane over a plywood deck. The upstands are completed in Rubberfuse ST Membrane and inhouse manufactured Rubberfuse SLM Gutters. A Rubberfuse Black TPO Walkway has been fitted to allow maintenance access without the risk of damage, along with a Soter Fall Restraint System to provide safety. All AOV’s and Access hatch have been weathered with Rubberfuse ST Light Grey Membrane in accordance with Rubberfuse specification. 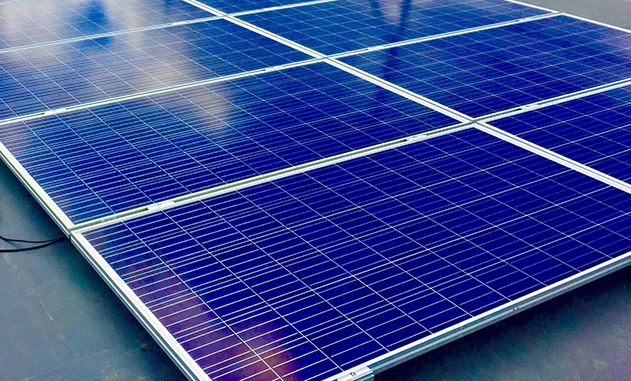 The buildings environmental credentials are supported by our installation of a 46.08kWp Poly-Crystalline Solar PV System, this installed on Rubberfuse TPO PV and Aluminium Mounting Rail.